It is difficult at best to attempt to deconstruct the art of medicine — or even to define it. In my book the art of medicine includes the science of medicine; subsumes it, if you will; but there is so much more to it. While the science of medicine might take place in the confines of a sterile laboratory or in a pharmacologic interaction within the human body, the art of medicine always takes place between at least two individuals, the clinician and the patient. Practicing the art necessitates a skill set largely learned through experience, honed with compassionate practice. It is certainly more than mere technique. Although Stephen Bartholomew was not writing specifically about the art of medicine in this passage from Physician Assistant: A Guide to Clinical Practice, he captures its sentiment beautifully for the practicing clinician. We have not even to risk the adventure alone, for the heroes of all time have gone before us. The labyrinth is thoroughly known. We have only to follow the thread of the hero path. And where we had thought to find an abomination, we shall find God. And where we had thought to slay another, we shall slay ourselves. And where we had thought to travel outward, we shall come to the center of our own existence. And where we had thought to be alone, we shall be with all the world. 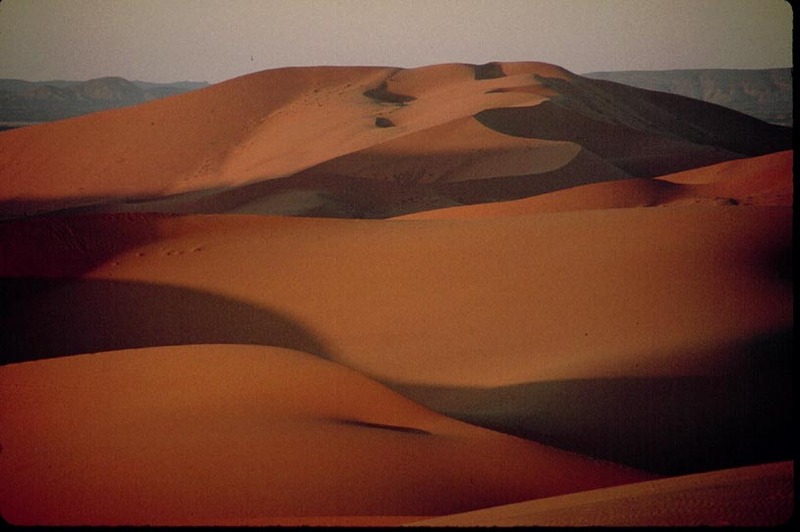 “Sahara” © Barry H. Penchansky, M.D. In his June 27, 2012, JAMA piece, Dr. Donald Berwick tells the story of Isaiah, a troubled youth from the Roxbury section of Boston, who at the age of 15 developed acute lymphoblastic leukemia. Chemotherapy put him in remission; but as predicted, he relapsed within three years. When Dr. Berwick held out a bone marrow transplant as the only hope for cure, Isaiah jumped at the chance. The transplant took, but also left him with diabetes and asthma. As horrendous as that sounds, other factors in Isaiah’s life were even more difficult to overcome. He had been introduced to dope at age 5, committed armed robbery at age 12 and was addicted to crack by age 14. Two of his 5 brothers were in jail—one for murder—and a third was later killed in a drug dispute. Isaiah never finished school. His world was the street. In her recent article In Treatment for Leukemia, Glimpses of the Future, New York Times reporter Gina Kolata tells the story of Lukas Wartman, a young physician who developed acute lymphoblastic leukemia during his final year of medical school. Like Isaiah, chemotherapy threw Wartman into remission; like Isaiah, his cancer came back. And also like Isaiah, Wartman received a bone marrow transplant to cure his cancer. But three years later the cancer returned. This time it didn’t respond to chemotherapy and hormones. In a last-ditch effort to save him, Wartman’s doctors sequenced his cancer’s genome, looking for clues as to what was driving the proliferation of abnormal cells. They identified an overactive FLT3 gene and discovered that it was sensitive to an existing drug. Because it was terribly expensive, Wartman’s insurance refused to pay for it; and Pfizer, the drug manufacturer, declined to provide the medication under the compassionate use program. In the end it was Dr. Wartman’s research colleagues who chipped in to cover the cost of the medication. The treatment proved to be a success. There you have it: one nearly universally fatal disease, two patients—each a product of circumstance and chance. Each one received appropriate care for his condition, except in Dr. Wartman’s case a team of highly motivated colleagues banded together to go above and beyond the usual measures to insure that he received the best care possible. Even when the system refused to step up to the plate, his colleagues made sure that Dr. Wartman received the proper treatment. In a county that boasts the best medical care in the world, accessing it might still be a problem, no matter which end of the social strata you find yourself. But in these situations, it certainly helps to be born into the relatively well-to-do, privileged and well-connected socioeconomic class in our contemporary classless society. 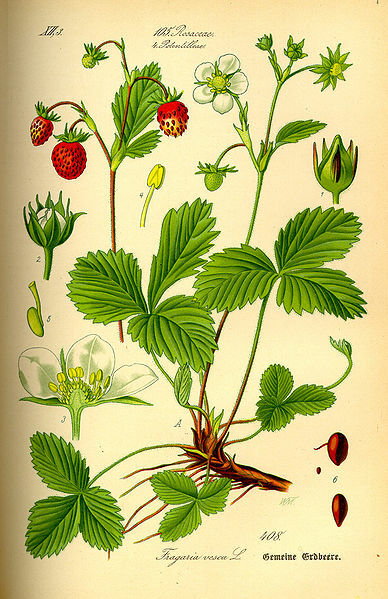 Thoreau tells us that the Native Americans of the eastern woodlands called the strawberry oteagh-minick. The Cree referred to it as oteimeena, while the Chippewa named it o-da-e-min. All are variants of the same word, which describe this red fruit as that resembling the heart. I was pleased to learn the results of a recent study of the strawberry and its nutritional benefits. This common red berry — the first wild fruit of spring — carries substances which stimulate the production of NrF2, a protein which protects the human heart by bolstering antioxidants and helping to lower blood lipids and cholesterol. The latest research on the heart-berry hearkens back to the Doctrine of Signatures, a 19th century idea that the shape of a plant determined its medicinal properties. For example, the tri-lobed leaf of hepatica (Hepatica nobilis) was said to be useful in treating ailments of the liver. Now it appears as though the heart-berry might indeed be good for the human heart. My latest installment of Notes from a Healer — Reining in the Rx — is now online, newly published in the Yale Journal for Humanities in Medicine.